09.01.10 POTD, originally uploaded by Sarah (SarahDanyelle). 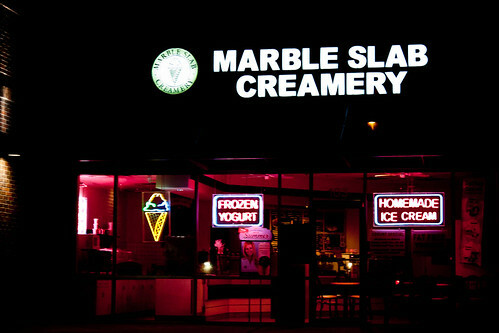 Everyday on my way to work I pass this Marble Slab Creamery. I love the pink glow from the signs and today I stopped and snapped a picture. (yes, I get to work when it's realllly dark outside). Probably should have used the tripod, but I think this worked pretty well hand held.